Document to print and to fill hand writing. These forms can be filled out on your screen. After printing, just include them with your samples. You also can save your changes. Click the “RESET” button to go back to the blank form. All you need to know is in this guide: sample type, quantity, turnaroud time for different tests, etc. 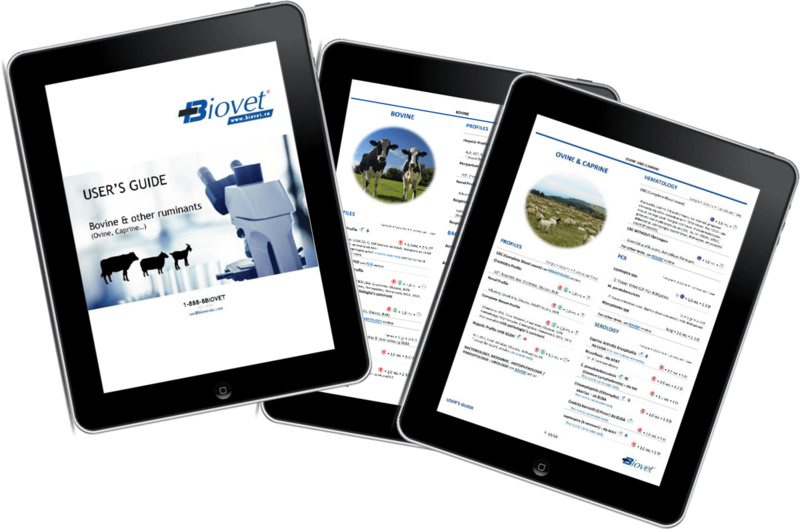 Biovet operates a cutting-edge technology laboratories offers a complete range analysis services such as: microbiological analysis, molecular biology, serology, biochemistry, hematology, virology, the histopathology, cytology and immunology. We offer a full range of innovative diagnostic services to veterinarians. We have 3 laboratories in North America: Saint-Hyacinthe, Quebec City (in Province of Quebec) and Minneapolis, MN (in USA). We got an efficient pickup service for our customer’s samples in Quebec, even in rural areas. Our laboratories operates 7 days a weeks, we are open 6 days a week and until 10 PM weekdays.